This 78 year old woman, was totally limited in her day to day movements with "Frozen Gate Syndrome". She could not walk without the aid of her walker and even then, she was extremely limited in her daily activites of living. Learn about the different techniques that were combined in this medical hypnosis session so that she was able to leave the office able to walk without the walker. Her daughter was brought to tears in seeing her mother walk unaided. A remarkable case study is presented showing the immediate effects that can be possible. Seth-Deborah Roth, CRNA, CHt, CI has had many years of experience in the medical field as a Nurse Anesthetist. She graduated from The Hypnotherapy Center in August of 2000. After graduation, she received masters' certifications in NLP and Reiki, and she became a practitioner in Time Line Therapy and HypnoBirthing. She has special advanced hypnosis training in Medical Hypnosis, Pain Control, Hypno-Anesthesiology, Cancer Hypnosis, Emergency Hypnosis, Hypno-Birthing®, Habit Control and Weight Loss, Advanced Reiki, Lux-Mani Energy Work, and Pediatric Hypnosis. She also is a Master NLP Practitioner, Time-Line Practitioner®, and a Certified Results Coach trained by Christopher Howard. Her practice "Hypnotherapy for Health" is located in both Castro Valley and Pleasanton, CA, where she specializes in Medical Hypnosis. She presents frequently to various hospitals on the application of medical hypnosis and has also been featured on various radio shows regarding medical hypnosis. She produces hypnosis CDs and specializes in customizing CDs for different medical issues or surgical procedures. 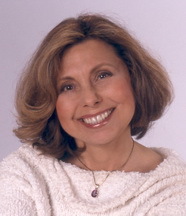 Seth-Deborah is a Certified Instructor and adjunct faculty member of the National Guild of Hypnosis. She is also a member of the National Board of Certified Clinical Hypnotherapists, the International Hypnosis Federation, the American Board of Hypnosis, the International Medical and Dental Hypnosis Association and the American Association of Nurse Anesthetists. She is an instructor in Medical Hypnosis at the "Hypnotherapy Center" in Oakland California. She received the 2005 "Award of Excellence" in the category of Health Care from the International Hypnosis Federation (IHF) and was chosen to speak at the National Guild of Hypnotists 2009 "Solid Gold" meeting in Las Vegas. She has been featured on the Discovery Channel's "Myth Busters" segment on hypnosis.